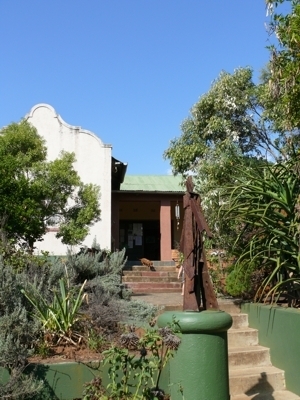 The Art Factory is a small shop situated in the Information Centre in the main street of Groot-Marico. It is filled to the brim with arts and crafts from the local people. 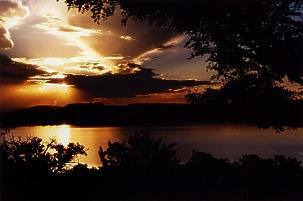 It is managed by Egbert, a local artist, nature lover and philosopher. People just love it to browse through the shop, because every corner is full of surprises. Groot-Marico was one of the places where Boers and British were fighting during the 1899 - 1902 war. Kleinfontein, Bokkraal and Wonderfontein were some of the places where they engaged in battle. There is a small cemetery on the farm Wonderfontein where some British Soldiers were buried. 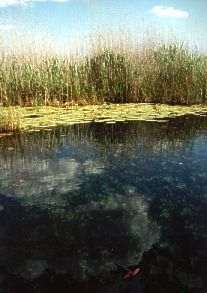 The Marico river is one of the few perennial rivers in this part of the country. The eye is a fountain (17 metres deep!) with the purest and cleanest water that you have ever seen. It is a favourite spot for Scuba diving and camping. 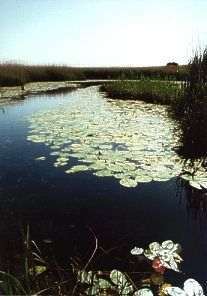 It is also known as Riekertsdam. This dam forms part of an irrigation scheme which provides farmers with water during the dry seasons. This dam is also used extensively for water sports like fishing, skiing, sailing etc. There is a well equipped caravan and camping park right next to the dam. 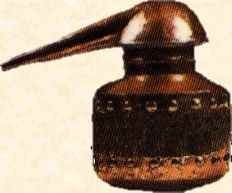 Groot-Marico became famous for a special drink, called Mampoer. It is made from fruit and is also known as 'moonshine'. It is very high in alcohol content. The method of testing if the Mampoer is strong enough, is to put a match to it. If is burst into flames, it is good, otherwise it is not strong enough! Click on the link on the left for more information.